-- Jump To Product -- Tablet Section Capsule Section Liquid Section Ointment Section Injectable Section Powder Section Packaging Section Quality Control Instruments Spares for Tablet Press Spares for Capsule Machines Spares for Blister Pack Machine Utilities P. P. Cap and Alu. Seal Mfg. 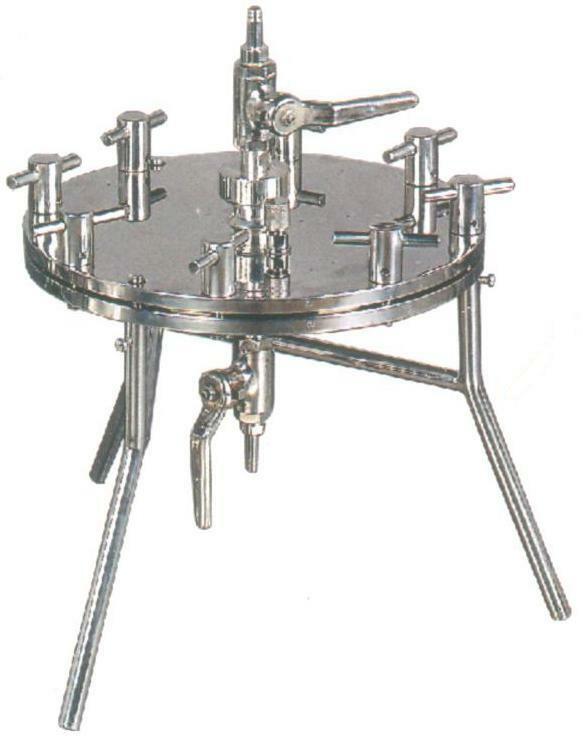 Machinery Sieves/Screens for various Machine Other Accessories Spares for Liquid Filling Machines Eye Dropper Assembling Machine Scoops SLEEVING & SHRINK WRAPPING MACHINE AUTOMATIC SPOUT ASSEMBLING MACHINE. Available in 142 mm & 293 mm size. Bubble test arrangement can be provided. MOC SS 316/316 L and mirror polish.